Launched as Flightraja in 2006, Via is today an established online travel portal with 20,000 partners across 2400 towns and cities of India. With a three step booking process and a 24 hour by 365 days customer care, Via makes life much easier for travellers. Here, you will be able to book flight tickets, hotel rooms, combos and holiday packages, bus and car rentals at the best prices ever. 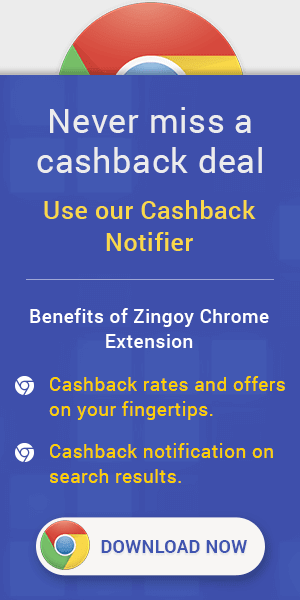 To make your holidays even sweeter, Zingoy brings you latest Via offers and loads of cashback on all Via bookings, here, in one place. With Zingoy, you can also earn cashback on your friends and family’s holiday bookings, made using your Zingoy Via links. So make your personal Via links with Zingoy and share them with everyone! Via Coupons, Promo Code & Cashback Offers : Looking for Cheap International Flights? Now save up to ₹7000 on your International flights. Use promo code "VIAINTL" while booking. Limited period offer. Hurry! Via Cashback Offers : Save Big on Flights to USA! Enjoy Flat ₹2000 off* on All Flights to USA from India. Limited Period Offer. Hurry! There is no minimum booking amount required to avail this offer. Via Cashback Promo Codes : Get up to INR 1000 off on domestic flight tickets. Use promo code "VIADOM" while booking. The offer is valid till 31st December, 2018. Via Cashback Coupons : Save Big on Your Flights to Europe! Enjoy Flat ₹1500 off* on All Flights to Europe from India. Limited Period Offer. Hurry! There is no minimum booking value required to avail the offer.